Is it time to start Shelby over Vernon, Shelby was a good back up last year, but still did play like a back up, this year he's been very strong. He is applying really good pressure, he's playing much better against the run and Vernon has been sketchy. Shelby has been more noticeable than Vernon in spite of Vernon playing almost twice as many snaps, so maybe it's time to see what Shelby could do as the starter. Cut them both to save salary, D. Jordan will be coming back!!! Yes, Shelby just had two sacks, but sacks can be misleading. Yes, Shelby has half the snaps of Vernon, but both are equally effective against the run. However, Shelby's pass rush is not where it needs to be. Aside from the 2 sacks, he has 4 pressures for the season. Vernon has two sacks and 11 pressures. This despite the fact that Shelby has 79 pass rush snaps to Vernon's 130, so it is not double there. Vernon is getting a sack or pressure on 10% of this pass rush snaps. Also, Shelby lines up primarily as Wake's back up. It is nice to know that there is quality depth there. It is a long season but Vernon has earned his starting spot. Vernon earned the job so far IMO for passing downs.. Let Shelby come in on run plays..
Actually, Shelby is Wake's main back up, so he usually doesn't benefit from his presence, but he does get used at DT on rushing downs as well. I'm not basing this on the 2 sacks Rich, I'm basing it on his ability against opposing lineman, he gets more movement in both the run game and pass rush, and he seems like a verging playmaker. I believe Shelby is in the last year of his contract whereas Vernon has another year. Vernon is scheduled to make under $1 million next year, but if he continues to be an impact in both the run and the pass, he's going to want a big raise. I don't blame him either. He has another good year and he deserves it.... We all gripe about poor jobs done over the years of evaluating and developing talent.. Here is a 3rd round pick that has established himself by year 3. In the end, Wake is aging and you can never have enough pass rushers. Keep them both, keep developing them behind a guy like Wake, and begin working Jordan into the rotation when he gets out of detox..
Wake hasnt looked to break the bank here. Vernon, a Miami native, graduated from American HS in Hialeah, went to the U, and is now a Dolphin. I am going to assume we can keep him here if wanted..
Not according to those numbers? PFF ratings on 4-3 DE's in the NFL. Cam Wake #1. To be fair, Shelby had a much better day than Vernon against the Raiders. Vernon had an ineffective game. We all have our opinions Kev, but I don't put much stock in PFF, as big a Wake fan as I am he is not imo the #1 DE right now, nor do I think Vernon is 13. My opinion is based on what I have observed, I could certainly be wrong but I do think Shelby has gotten much better movement against O lineman. So if your opinion is based on what you have observed, does that mean you've observed every snap that every 4-3 defense end in the NFL has played this season? If not, then what basis of comparison are you using to determine rankings? If so, then when did you win the lottery to have so much free time? And why aren't you sending each of us a cut for putting up with you (joking joking...)? Listen Rich, I know your Pffolic, but not everyone is, and to many of us it is just another form of opinion, to you I understand it's a matter of faith, but to many of us it's wrong so often it's not worth paying much attention to. PFF opinion has nothing to do with what you said. As an organization they are wrong so often that NFL teams pay to use their services. They also have been widely quoted by sports writers giving them more than just opinion status imo. I don't think they are perfect, but a good reliable source of info, yes. I think any source of grading will have strengths and weaknesses. Their method seems to try and account, to some degree, for human error. If they are good I would hope that they would continually try and tweak things and make changes to get better. Except for everyone citing PFF, my original comment did not have anything to do with PFF, all of my opinions are from watching the games, opinions mind you, but every subsequent comment was based on posters citing PFF. I don't agree with their grading system, I'm not alone, many football fans and experts do not put a lot of faith in their grading system their stats are good, which is what NFL teams sometimes do use, but the grading system has a lot of flaws. I don't have access to pff's premium services and don't know what all they provide to people who subscribe. Maybe they offer something different to nfl teams. Maybe someone with more direct knowledge can speak to that. Finster how do you know that nfl teams only use their stats and not their grading system? I have heard of a couple of coaches that are not fans but have not heard teams come out and make that statement. I thought their grading system was one of the main things they offered. I think the point may be that since their grading system is widely quoted by sports writers it might be safe to think that it has more weight than the opinion of an average fan. I think they have said that it is not the end all be all of anything but it is a good place to start. I reached out to Sam Monson of PFF for a response. "I understand Mike Zimmer’s reservations, but while coaches like to maintain the mystique of football, the bottom line is most plays are simple enough to decipher," Monson told me. "We won’t get everything 100 percent right, the same way the Vikings won’t get everything 100 percent right when watching tape of any other team in the league – it doesn’t mean they’re not right most of the time and it’s still not a worthwhile exercise. "We would never want anybody taking our grades and stats as the definitive answer to any question. Football is way too complex for that. But they provide a fantastic starting point and can give you a big shortcut to answers you might be looking for. PFF currently sells to 13 teams and once we get to sit down with people within organizations they immediately recognize the value of the grading and what we do -- from coaches to the scouting department to the analytics guys. If Coach Zimmer wants to learn a little more about PFF and our processes, we’re always here." However, I've never been very fond of any single-point grading system -- the game is too complex to draw it down to a number, no matter how may decimal points you put behind it. PFF always explains their grades, but I would love to see more words behind those specific numbers. Those numbers don't tell the whole story, and while the PFF guys will be the first ones to agree with this, it's still easy for some to mistake a shortcut for empirical evaluation. I also agree completely with Monson. If you watch enough tape and learn from enough people in and out of the league who know more than you do, you can discern when a team hits a nickel defense, or blocks inside, or has certain coverage concepts in a general sense. You won't always know what those assignments are, but as many people have said over the years, perfect is the enemy of good. If you wait until you have enough information and enough connections to get it right every time, you'll never get the bat off your shoulder often enough to get anything right one time. PFF does the best they can with the information they're given, and they do a pretty solid job, as do many other analysts, paid and unpaid, who don't work directly for the league. That may counter Zimmer's seeming insistence that those in the league know best, but that's the way it goes. Zimmer may find that reaching out to Pro Football Focus, and perhaps even availing himself of their services, could help his own case down the road. One thing's for sure -- more and more teams are using all kinds of information from all kinds of different sources, and the teams who hang back will eventually be a bit behind the curve. “How do you know?” said Grimes, adding he can’t always be certain when he’s watching games on TV. It’s probably no coincidence that he says he’s “very, very proud” of the offensive linemen’s grades but “much less comfortable” with rankings for safeties. Hornsby said subscribers include NFL players and about a third of the teams, although he declined to say whether the Dolphins are among them (a source indicated they are). He said some teams use Pro Football Focus to help with roster cuts. Hornsby, a business consultant, said each analyst undergoes six months of training. Grading on each play is done on a scale ranging from +2.0 to -2.0, with a 0 being average. Analysts are told if they’re not “95 percent sure” on a given play, not to assign a grade, but also not to be afraid to use judgment. Hornsby sometimes tires of defending his ratings. “There will always be people who won’t believe in it — up until the point they do,” he said. Love it or scoff at it, the detailed numbers might be here to stay. Or even multiplying. College Football Focus, Hornsby said, might be his next undertaking. Those are some of the reasons I think their grading system is of higher value than the average fans opinion. Not perfect but with a good chance of being more right than fans. However, the guy Monson says in one of those quotes to not use it as a definitive answer to football questions, and I agree with him, I don't consider myself an average fan, I'm a student of the game, and I have been for 30 years, they do 6 month training courses for grading, imo that is not near enough, as Pouncey was quoted in there, they better have played they game to judge him, but they haven't, many of the graders are far from what you would consider an expert, which is one of the flaws. I find their grading system to be off badly at times, like Tanne being the 7th best QB last year, and if your that far off the mark I can't put much stock in it, but that's my opinion, if yours differs thats fine, I just don't put a lot of stock in it. I completely disagree that the only way you can have validity to analyze a sport is if you have played it. If we use Pouncey as a guide then I would guess no one should judge a player unless they have played at a pro level? Would a punter know how to judge a defensive back or an O lineman? I have no idea about your specific knowledge of the game. From your postings on here you seem to be an average knowledgeable fan. What would qualify one to be an expert. Intensive training, spending hours and hours breaking down game film, play by play, position by position, week after week, and doing it so well that you get people to pay you for your work. Some of the people who pay are nfl teams and people in the business. It would seem logical, as a general rule, that kind of time, effort and success is of more value than the average fan's thoughts. I agree that to me PFF qb rankings need some more tweaking on their part but I have not sat down with them and have them show me what they are seeing and how the grade is being given so I am open to learning more about it. Of course there is no problem with differing opinions. 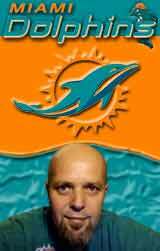 Go Phins. I don't see a PFF quote here? This stating a number of plays and the out come..
Last edited by Kev1321 on Thu Oct 02, 2014 8:24 am, edited 1 time in total. So basically you're dodging my question and deflecting to PFF? You don't even know what their grading system is. You take it 10 steps further. You flat out dismiss it as soon as it doesn't agree with your much less informed opinion. To add to your point, there are scouts, GMs personnel people all across the NFL who get paid the big bucks (some who never played football by the way) who get it wrong a lot of the time. They are the so-caled elite of the elite when it comes to player evaluation. If they weren't they wouldn't be in the NFL. And yet most draft picks and many free agents turn out to be flops. But I suppose PFF should be held to a higher standard than the elite of the elite. I know how it works better than you do. Projecting players from college and evaluating how they played in an NFL game are 2 completely different subjects. It's a non sensical question. I don't pay attention to the weather man either, because he is wrong so often. I highly doubt that seeing as how I actuall received training on it. My post wasn't that long and I mentioned free agents in there. I don't know how you missed it. Well you said you don't agree with Olivier Vernon being ranked #13th overall. So you're just arguing out of thin air? Or did you actually do analysis? And if you did analysis, did you analyze the players you would rank ahead of him as well? Maybe what is non sensical is you determining where you would rank a player without actually doing analysis on him and his peers. Last edited by Rich on Thu Oct 02, 2014 9:17 am, edited 1 time in total. Cool, go boating in a skiff the next time they say there is a small craft advisory. I don't have to see every snap by every player to know that both Wake and Vernon are not playing excellent right now. I bet if Vernon had 5 sacks and 0 pressures and those 5 sacks were because the QB happened to be flushed in his direction, you'd be talking about what a great season Vernon is having.